Did you know that your brain is an ATM machine? That’s right. You have enough information inside your head right now to create an information product that can be sold using the Internet. And you can do it in the next two weeks or less if you are focused and follow a few simple steps. I’m serious about this. You could begin selling your product only days from now. And I’m going to show you how to create that product in this very article. Don’t let the simplicity of the process fool you. This works! There are six steps. Feel free to read through this now and return later if you like. I’m trying to be thorough enough that you can take action once you finish reading without writing a novel-article instead. A tricky balance sometimes. You know things. You give advice to people all the time. It might be how to bake a cake. It might be how to write a sales letter. It might be how to save money when you travel. It might be how to groom your Doxie. It might be how to avoid getting ripped off online. The point is this — information is what the Internet is all about. And people will pay for good information all day long. You buy information products and I do too. So do millions of others. If they are buying information products now why shouldn’t they buy them from you? I know of no good answer to that question save one — there is no reason why people won’t buy from you if you give them the chance! Bottom line – you know things right now and you can convert that knowledge into cash. So, pick your area of focus. Now that you have your area of focus, grab a legal pad or open a word processing document and start writing down everything you know about that topic. As much as I love technology I suggest you go low-tech on this. There is something about the process of actually writing on paper that is helpful. And drawing helps too. Seriously, draw or mind map if you feel like it. This is your information product we’re building here! First point – Don’t stop until you run out of things to write. This is not meant to be a 5 minute exercise. You need to get it ALL out there so plan in enough uninterrupted time when you do your first brain dump. This is critical. Second point – At this stage, everything you think of goes on the legal pad. There are no bad ideas or “little” thoughts. Write it all down. Hot tip: Random thoughts WILL invade your thinking. Have a second piece of paper handy and write them there. When an off-topic thought comes to your mind just jot it down on your random-thoughts page and then put it out of your mind. This works wonders. Remember to stay with your area of focus and don’t chase off-topicthoughts that come to your mind. Write them down and move on. As a way to measure, you should have between 3 and 30 pages of notes. More is better, but as long as you have something written you are good to go. HOT TIP #2 – When I do this I pretend that I am leaving all the knowledge I have about a topic to my children for them to read after I’m gone. What to do, what not to do, shortcuts, pitfalls, lessons learned the hard way … I put it all in there. This is the exact process I used to write the book Common Sense Internet Marketing. As you write, make a star next to any new topic within your area of focus. Your area of focus can be somewhat broad, like ‘travel’ or ‘health’ or ‘money’. But those big ideas will need topics or you run the risk of not knowing where to write down your thoughts. Taking the travel example from above, you could have one topic for hotels, one for car rentals, one for traveling off-peak, one for cruises, one for airlines, etc. The key here is to sort the information so that you can easily use it later. I like to have one page per topic, with the topic name at the top, all spread out on a table so I can see the headings easily. Then when a thought comes about a topic it’s easy to grab that sheet and jot down my thoughts without flipping through endless pages, which can be distracting. Now take the information by topic and decide what can be made into its own product. It is entirely possible that you will end up with enough data to make several information products by the time you have completed your brain dump. I have seen this true more often than not — a person begins the process thinking “I don’t know anything that is worth selling” only to discover they have three or four solid information products in their brain. And people want to buy their information! HINT: If you can write 30 intelligent pages about a topic, and that information will help someone save time or make money or save money, you have a product that can be sold for about $20. Sell five a day at $20 each and you make an extra $36,500 in the next year! If you don’t have enough information on one topic for a short report or book, consider combining topics into an overview type report or using the information in other ways. Now it’s time to write your first information product. The key here is for the information to be helpful. You are not trying to win any writing awards. Just write down your ideas in the same way that you would tell them to your best friend. The truth is, most good books or reports are written the same way, so don’t let this intimidate you. If your report defines a problem, offers a step-by-step solution, and has a summary that encourages the reader to take action, you will have a winner. For now, outline what you have in a logical step-by-step fashion and then fill in those blanks in a very conversational style. Remember this; you are not trying to be the ultimate expert of the world and convey so much information that the reader never need do or know anything again. You are trying to solve a problem, or set of problems, with focused intensity. Do that with integrity and you will produce a winner. STEP 6 – SELL IT! The happy part here is that you have options. This part can be very simple or very complicated so I suggest starting with the simple first. Don’t be overwhelmed by these options. It’s just a choice and you can come back here and read them again. Plus, I’m giving you my specific “this is what I would do” suggestion in case that helps. What you need here are two things. The traditional information product selling model says to create a website and drive traffic there. The people see your offer, click the good old “add to cart” button and sales happen. That’s fine if you know how to make a website. But what if you don’t know how to make a site, or don’t want to? While there are about a million options I believe two stand out. First, if you have hosting, you can use a WordPress theme called Optimize Press. OP makes creating sales pages easy. Another option that is WordPress-centric is Premise. You can find both using Google. Another way to go is to use a hosted service like Kajabi. That’s what I do. 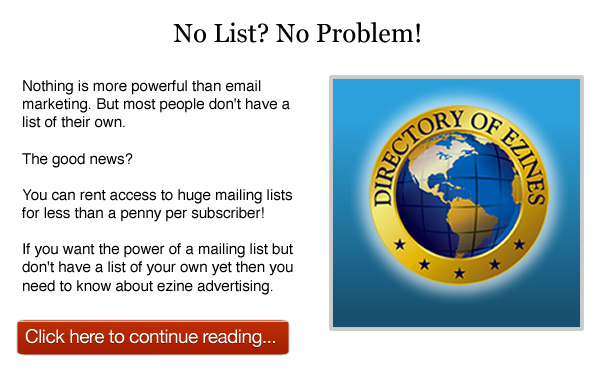 The Directory of Ezines and Follow Up Selling Systems are both with Kajabi. They provide a turnkey sales and membership site all for one monthly fee. If you are starting out then a low-cost hosting account and the WordPress/Optimize Press combination is the quickest and easiest way to go. Here are five viable options for selling your work online simply and with minimum technical knowledge. I know there are more than these five but listing them all is too much. And please don’t think I am endorsing all of these because I’m not. But I have seen each of these work and have worked with clients using each. For the record, I would, and do, choose either PayPal or Clickbank. But that’s me. If I were starting over today I’d likely go with PayPal alone until my business reached the level where I needed more than PayPal offers. PayPal has advanced to the point where it’s all you need when starting out. What I suggest is starting where you can start. Fiverr makes selling easy (no sales page needed) but you can collect only $5 per sale. It’s going to be hard going at that rate unless you have some advantage on your side. Amazon is one of the most powerful online businesses in the world for one good reason. They make buying and selling easy. And they have the Kindle. As much as I love Apple products, the Kindle is a game changer for those who want to publish for profits. I have an entire article coming about publishing with the Kindle so stay tuned for that. I am in the process of consuming Kindle “how to” products and testing to see what works for my DOE and FUSS members right now. I will report to you when I know what really works. For now know this – you will want to publish your work on Kindle at some point. It’s as simple as that. The difference between publishing on Kindle and other “publish here” sites is simply traffic. Amazon has so much traffic that it’s possible to publish there and be done, letting them handle the traffic headache. I’m working on a way to share with you how to do that now. My last word is this – If I were starting over again today I would use a hosting account, Optimize Press and PayPal. Using those three I could have a site ready in a day and start collecting for my work quickly. Following the process listed above will help you create a useful, and profitable, information product of your own in only a few days. Your blog kicks it out of the park. I love your content and detail. Easy peasy comprehension or at least it seems. 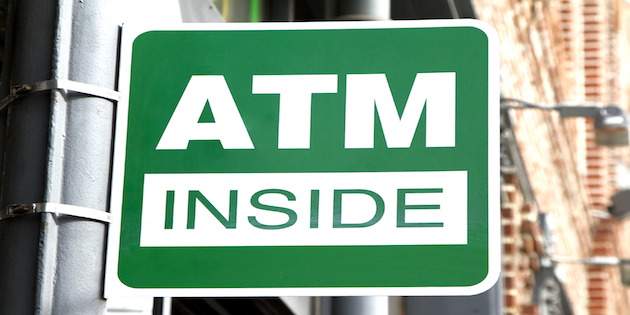 The ATM brain is a terrific real message article with lots of note worthy details. You now have a new F A N.
Thanks Scott. Happy you are here. It wonderful to know that someone like you still exist in the world of no cash no information. I am overwhelmed, I will always cherish this post. You’ve awaken my sleeping mind and thought. I know you’re a God sent. Thanks for this motivational write up. I really want to work with you but it is not working as i thought. Thank you Herbert. I’m happy you enjoyed the article. I enjoyed your post here Charlie, and the site looks great too! The tools you mention to get a product up and out to the public are what I use also. They are tried and true and work for the purpose. Also, is there a best way to get in contact with you? Thanks and I’ll stay tuned! As always, you overdeliver, Charlie! This is quite perhaps the best “break down” I have ever found online for someone who is just starting out, and needs instructions on how to turn their ideas into online profits. I really appreciate you sharing your wisdom with the rest of us. Have a great day. Enjoyed the article, short and to the point. I can never seem to do the brain dump thing, for me ideas seem come to me from everyday things such as running errands or traveling to appointments. We’re all inspired in different ways. The Kindle is indeed hot, but people shouldn’t forget they will still need to market in order to make money. You’ll also need to test out price points to see what best fits for the type of report or book you’re selling. By the way I purchased a Nook book a few weeks ago and was sorely disappointed, because the information was suppose to give away secrets for doing solo ads but was just a repitition of the same basic information that anyone could have found by doing a Google or Bing search. If you’re gonna write a book even if it’s not pricey be sure to give value that’s not so easy to find…do some research, so people will keep coming back. Lately I have been fedup because I have had a very long period when nothing positive happened. I yawned at the different offers and if I started reading I soon felt tired and had to stop. But this “Your brain is an ATM” interested me so I red and copied it. May be I’ll start reading it and learn how to on, but I cannot promise for sure. By the way give my best wishes for recovery to your brother in law. Multiple streams of income come to mind when you mentioned this guide Charlie. Good work on keeping the motivation levels high. thank you Charlie, very good advice even though I’m one that don’t like to write I’m confident that if follow your advise i will be able to write something on my field, for sure will keep this article to future reference, thanks again….. The idea of being a “writer” or of “writing” usually gets to people. If you think about sharing information with a friend it becomes easier. Just write what you would say. I have actually dictated articles into a recorder and had them transcribed when writing was hard. Today there is good technology for speech to text (like Dragon Naturally Speaking) so it’s even easier. I know you can do it. wow…another great job, Charlie! Thanks! I am using Paypal myself, but have been hearing some very unsettlieng horror stories of late regarding Paypal’s unethical business practices (I.e. suddenly and without warning restricting accounts for weeks and months at a time. Seizing customer’s money and denying them access to it, etc.) Hence, perhaps one of your other suggested gateway alternatives might be a better choice for those starting out? Additionally, I was left with a small question regarding your math as well..
$20 a day X 7 days = $700 per week. $700 per week x 52 weeks in a year= $36,400 per year. I believe this last calculation is where our figues differ? You estimated $36,500 above. But notwithstanding, perhaps I am mistaken. It happens. If so, I sincerely apologize in advance. Again, thanks for yet another outstanding info article ! I was doing $100 a day at 365 days a year. I remember when that was a goal I was trying to achieve and I was selling books at $20 each in those days. But numbers are not my strong suit! Happy you enjoyed the article. I always follow your links in your emails…and I’ve never been disappointed. Great article! Thanks. Opening and reading emails is a great compliment to me and I appreciate you. Charlie…I really liked the way you broke down all the steps. I’ve got a ton of blog posts I can bundle together to create a report or ebook. Now I just got to make time to do it. Excellent guidance once again, Charlie. Thanks. My only problem with your suggestions is the eating of chocolate (which I love): it puts me to sleep! Thanks for the timely post. I’m putting the finishing touches on my marketing product and I have a few more questions. Will it be OK to sell it through my existing marketing site by just adding a sales page, or would JV partners prefer a mini-site dedicated to only this product? Also, if I sell through PayPal instead of ClickBank, am I giving up the chance to attract more affiliate resellers through ClickBank? Or can I still list in ClickBank but use PayPal for payment? Finally, are there precautions I should take to legally protect the content before sharing it with potential JV partners to prevent it from leaking and being used by unscrupulous vendors? Good questions. If your sales are going to be primarily affiliate or JV driven then making decisions based on that is wise. But I find far too many vendors try to organize their business around affiliates and then end up making 95% of the sales themselves with only 5% being affiliate sales. In my view it would be better to have a stand alone site for your product. You can always have a page that points to your product on your main site as well. But if the product is good enough to be a stand alone then it deserves a site of its own. If you use Clickbank then sales will process through Clickbank and not through your PayPal account. You should take every precaution you can to protect your product. This is your business and intellectual property theft is common and a serious matter. Hope this helps. Thanks for one of your best. What an intelectual boost! I like this piece so much because as a senior citizen, retired some years back, it gives me few more battons to run with the relay race; of which ‘am sure will definitely win as hundreds of such good stuffs embedded in me already. Thanks so much Charlie; while I’ll always look out for more. Stay Blessed. Joe. Your post was very insightful and a good blueprint for people to follow. I like the way you simplify the complex, as you did in your book, Common Sense Internet Marketing. You mentioned another point about Amazon Kindle. I am dying to get your input and feedback on that, because I believe that is Hot right now. I love my Kindle, and been buying up books. It should be easy to get something published on the Kindle marketplace. Keep us informed! with an ideas which I never know how to trigger it. which money is not everything that we can buy. keep on going Charlie, may God bless you and family and your business going prosperous all the way. I’m happy they help you. I don’t mind you saving them for your personal use as long as you don’t publish them. Helping readers is my main goal so I’m very happy they help you. Thanks Charlie, good stuff as usual. I always copy your articles so I can keep referring back to them. I don’t mind at all as long as you don’t republish them. I’m happy they help you. Charlie, if there’s one thing I got out of this article it’s that chocolate helps stimulate creativity. I’d like to write more about this but I think I’ll just go stimulate my creativity instead, lol. Charlie, you couldn’t have emailed this article at a better time,my husband has just retired, and with so much experience under his belt you have encouraged him to put it down on “paper”and start a new career! Thank you as always for great articles. Hi Charlie, I don’t comment much, but I do open your links and read the contents. I like to keep things simple, and this email puts it into terms I can understand. Thank you. Yes, selling Kindle ebooks on Amazon is working well for me thus far. I’ve published two under pen names, and I plan to publish more. I have to go with what works, and what I feel I’m mean to write at the time. It’s not necessarily a quick thing — I don’t want to scam people out of cash or anything, but neither do I want to devalue the information that can help folks. I have copied this article and saved it as it full of excellent information. I am publishing fiction books on Kindle at the moment and I will be fascinated to see what you have to say about it when you are finished your investigations. If you were to create a Warrior Forum WSO or a Clickbank product about Kindle, I would buy it in an instant. Thanks again, Charlie. This is a quite brilliant article. Appreciate the kind words. I look forward to sharing what I am learning, and doing, with various forms of publishing online. Charlie thank you writing this article. It certainly has given be several ideas on how to create a report that I can sell or give away to build my list. Charlie, This is a very nice article. I have read many of these tips many times, but I like the way you put this all together…keep the good tips coming – I appreciate what you do! I was all set to create a product for my health niche when panda/penguin has decimated my web sites. I then thought it would be a waste of time. However you suggestions on Kindle have me thinking again. The information you’re giving out, Mr. Page, is so precious that one can hardly even imagine its depth and value! Thank you for giving us all the lessons and teaching us to swim in the waters of internet marketing!!! Said in other words – thank you for being the best mentor and lead one can ever have!!!!! I very much enjoyed this article, and you have given me some ideas that will make my life so much easier – such as the ‘brain dump’. I currently have about 50,000 scraps of paper on my desk that contain ideas (most of them are very good). However, I really do not think I could put them all together for one large cohesive document! I am trying to click the link above for traffic; the button is there, but no link. I would love to see what you have to offer. Take Care, and Thank you for all your wonderful in-sights. Sorry about that. The link is fixed now.